← HM3: The game is afoot! I just updated the HM3 Alpha with the "LeftFootMaleStandard" set, so now you can have a shoe on each foot if you like. there is a bug when you select on the left shoulder a pattern there are 2 lines going to the left side of the charcater, and also on the torso there are 2 lines kind of an inverse Y where the heart is supoced to be that seems to be a mistake or something like that. Jeff, I figure I may be late in requesting this, but could it be possible to get the “military boot” as just as shoe? I noticed the cowboy boot had this option and I was hoping something similar for the military. Thanks. I meant to put that in, Joshua, thanks for the reminder. I’ve done so and uploaded the files, it should be the last item on the end of the previews. Its possible I’m missing it but in the MaleStandard isn’t there supposed to be another leg part that has no feet on it? There will be, I just haven’t gotten to it yet. No Swim Fins? I was really hoping for swin fins. I’d like big red clown shoes, please. Oh, that’s rigth GreenBat, you’ve been asking for those for a while. I’ve added them and posted the updated file, they’re at the end of the set. Oh sorry. I thought it had already been in there. Hofter, i think Insignia will include tattoos. Or you could make your own? Could you separate these two boots like the third one? Are you planning to eventually add the rest of the items from HM2.5? Or should I ask for some long boots like these? @Neon: I couldn’t decide how to do that one so I skipped it. But I’ll go back and add it in as a two-parter, probably. @tristan: That’s one of the things I’m working on. Probably gloves next, yep. Probably be Monday/Tuesday of next week before they’ll be done at the earliest, unless I get a wild hair and work all weekend. Which has happened before, but no promises. 1. Would it be possible to have dog and cat paws? 2. Where can I get a wild hair from? Can they be house trained? @”Give ‘Em Hell” Hebert: You da man! Yes yes yes, Timespike, for the love of Pete, spandex shirts will be present. 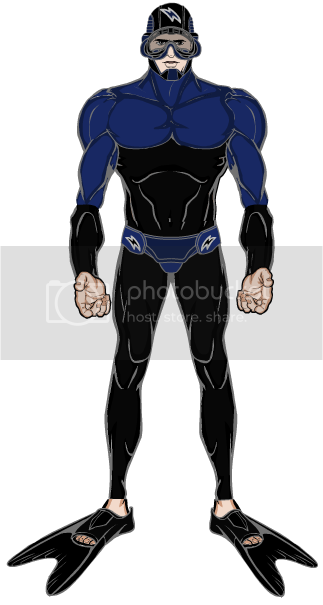 EVERY item (mostly) from HM2 will go in, I wouldn’t leave out something as important as spandex. Jimminy Christmas. D, I would like to have dedicated “animal hands and feet” but it won’t be until after I get the basics in for every slot. I’ve now added in (and posted to the alpha for use) the separated items and the thigh boots Neon asked for in comment 13. That’s probably going to do it for footwear unless something really glaring comes up. There will be other sets of items for the Foot slots, never fear, but again, probably not until pretty much every slot has at least one set of good, basic items. i want a pear of converse allstar sneakers now is that so hard? Hey Tristan, why you getting annoyed?? This is an early beta version of HM3. Jeff is putting this out to us so we can test everything and report back any glitches, that’s what a Beta is for! You let hime know so he can get to fixing it, so just calm yourself and enjoy. i think just one shoe section is enough, because if you have like 15 or 20 items on a charackter its laggy as hell and therefor no fun to work with at all. i dont know if it helps, but if there is only one shoe section (and also just one hand section and so on), there is, thanks to the flip funktion no problem at all (for me). Actually I think I owe Tristan an apology, I think he was making an appeal to have TopsStandard and/or TopsSpandex be the next set to be worked on after Gloves, instead of some of the others I mentioned. And I think that’s right, I should do that next. Once you’ve got a good set of tops, bottoms, gloves, boots, and belts, there’s not a lot you can’t do. So the order will be gloves, tops, then the rest. sorry for the double post, but also i think it will be a good idea to add with the gloves a blaster like samus or mega man. Some of the gloves should definitely have blasters on them. The rotation function is too sensative it should have a way to lock the rotation. The shoulders should have a shoulder blaster option similar to the weapon used in the Predator movies. The gatling gun option is just too big. When you try to scale it down it becomes an unrecognizable blob. Two shoes?? We’re feeling all entitled over here!